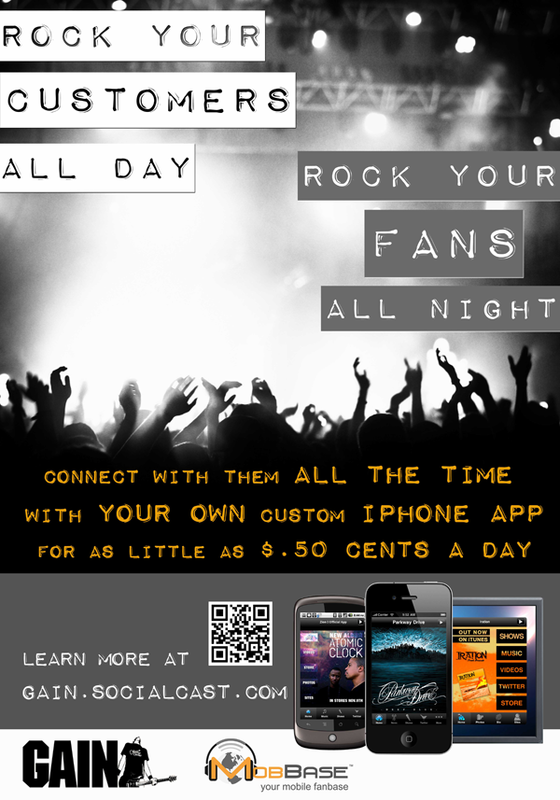 2011 May Archive « .Evolving Music.
. 0 Comments Tags: Android apps for bands, GAIN, Guitar Center, iPhone apps for bands, MobBase, MobBase special discounts, Mobile Apps, music industry partnerships. We’re excited to announce that MobBase, the fast and easy way for musicians to make mobile apps, has partnered with Guitar Center to create apps for Guitar Center employees through their GAIN Program. Thousands of Guitar Center employees are musicians themselves and through this partnership, they will be able to easily build their own iPhone and Android apps at a vastly discounted price. If you’re a member of GAIN, be sure to check this out. The GAIN Program was launched in March 2007 to help Guitar Center team members achieve their musical aspirations. At the heart of GAIN is an extensive private social network where Guitar Center employees can post music, pictures, blogs and online discussions, in order to share with and learn from each other. In addition, GAIN presents a number of other benefits, deals, offers and opportunities to its participants, including partnerships with a number of vendors, services and institutions. The GAIN program continues to build relationships with companies, organizations and individuals who can provide exposure, insight, tools and opportunity to the musicians who work for Guitar Center, Inc. Check out the poster we created for the campaign – it will be going up in every Guitar Center location in the US!